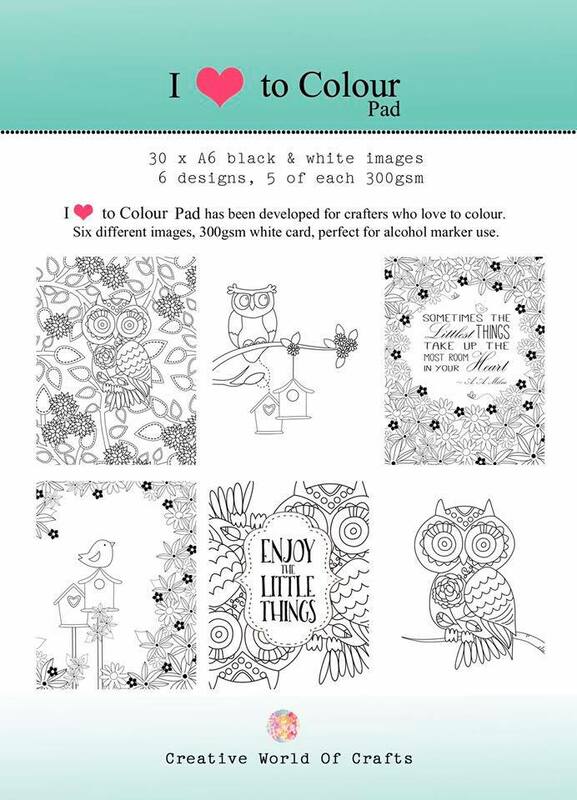 Im here with my Day 3 of Sneeky Peeps of what I have been up to for Creative Crafting Worlds Paper Boutique A Hint of a Hoot Range of Creations. The creations today are made using the fabby new Paper Pad which is available tomorrow on the 2 live shows on Create and Craft TV. The cards I used are also from Creative Craftring World and are brilliant. There are 5 of each design in the paper pad so you can decoupage them up which is what I did with this one. A6 Paper Pad Coloring Owl. You can win a pad in a few ways. Come and Get It Challenge - Things with Wings. Alphabet Challenge - Zero Embellishments. Southern Girls - Pop It up with Foam. Hi Hazel, thanks for calling by my blog, been looking back at your creations, you are still making gorgeous creations i see. Love these latest, so bright and cheerful. A super bright and colourful card. Thank you for sharing with us at Alphabet Challenge. Stunning cards. Thank you very much for joining our challenge at Come And Get It Challenges. Very cute card. Thanks for sharing with us at Southern Girls.